Isn’t it interesting that nonbelievers sometimes have a better idea of what we should believe than we ourselves have? 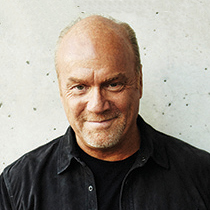 Pastor Greg Laurie explains. When Jesus was crucified, it came as a great shock to His followers. They expected Him to establish His kingdom on earth. But instead, He was beaten and hung on a Roman cross. They heard with their own ears His words, “It is finished.” Then they watched Him die before their very eyes. They never thought they would see Him again. But when Mary Magdalene went to the tomb early in the morning, the tomb was empty. She called for Peter and John, who investigated, but they still were not sure what happened. Then Christ himself appeared to Mary, to the disciples in the Upper Room, and to the disciples with Thomas present. He appeared to Simon Peter personally, to the two disciples on the Emmaus Road, and to 500 people at one time. He appeared again to Peter, James, and John at the Sea of Galilee. There was no disputing the fact that Jesus was alive. Isn’t it interesting that nonbelievers sometimes have a better idea of what we should believe than we ourselves have? Have you ever been busted by a non-Christian? Has a non-Christian ever called you out on the fact that you weren’t acting like a follower of Jesus? The nonbelievers believed that Jesus could rise again. They put a guard at His tomb. But His own followers didn’t believe it. Yet He was alive. They couldn’t deny what they knew was true. And it transformed their lives.